The Russian Liberation Army was a collaborationist formation, primarily composed of Russians, that fought under German command during World War II. The army was led by Andrey Vlasov, a Red Army general who had defected, and members of the army are often referred to as Vlasovtsy (Власовцы). In 1944, it became known as the Armed Forces of the Committee for the Liberation of the Peoples of Russia. 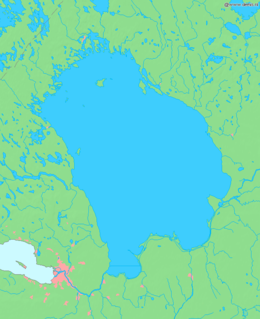 Karvia is a municipality of Finland founded in 1865. Köyliö is a former municipality of Finland. It was merged to the municipality of Säkylä on 1 January 2016. The Simon Wiesenthal Center (SWC) is a Jewish human rights organization established in 1977 by rabbi Marvin Hier. According to its mission statement, it is "a global human rights organization researching the Holocaust and hate in a historic and contemporary context. The Center confronts anti-Semitism, hate and terrorism, promotes human rights and dignity, stands with Israel, defends the safety of Jews worldwide, and teaches the lessons of the Holocaust for future generations." Most of the deaths among Soviet POWs, 16,136, occurred in the ten-month period from December 1941 to September 1942. Prisoners died due to bad camp conditions and the poor supply of food, shelter, clothing, and health care. About a thousand POWs, 5 percent of total fatalities, were shot, primarily in escape attempts. Food was especially scarce in 1942 in Finland due to a bad harvest. Punishment for escape attempts or serious violations of camp rules included solitary confinement and execution. Out of 64,188 Soviet POWs, from 18,318  to 19,085  died in Finnish prisoner of war camps. ↑ According to the 1953 official Finnish report there were 64,188 Soviet POWs in Finland of whom 18,700 died. According to the 2008 database of the National Archives of Finland the number of deaths are 19,085. However, Finnish historian Antti Kujala calculated in his book "Vankisurmat" (2008), pp. 310–311, that the number of Soviet POWs was about 67,000 of whom about 22,000 died (including about 3,000 unregistered POWs). The Battle of Summa was fought between the Soviet Union and Finland, in two phases, first in December 1939 and then in February 1940. It was part of the Winter War and was fought near the village of Summa along the main road leading from Leningrad to Viipuri. The Soviet–Finnish Non-Aggression Pact was a non-aggression treaty signed in 1932 by representatives of Finland and the Soviet Union. The pact was unilaterally renounced by the Soviet Union in 1939, after it had committed the deception operation Shelling of Mainila, where it shelled its own village and claimed Finland to be responsible. The Lapland War was fought between Finland and Nazi Germany effectively from September to November 1944 in Finland's northernmost region, Lapland, during World War II. Although Finns and Germans had been fighting the Soviet Union (USSR) together since 1941 during the Continuation War, the Soviet Vyborg–Petrozavodsk Offensive in the summer of 1944 forced Finnish leadership to negotiate a separate peace agreement. The Moscow Armistice demanded Finland break diplomatic ties with Germany and expel or disarm any German soldiers left in Finland after 15 September 1944. The background of the Winter War covers the period before the outbreak of the Winter War between Finland and the Soviet Union in 1939–1940, stretching from Finland's Declaration of Independence in 1917 to the Soviet-Finnish negotiations in 1938–1939. 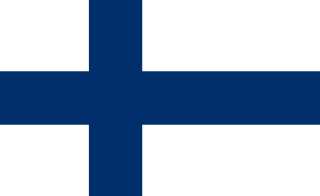 Before its independence, Finland was an autonomous grand duchy inside Imperial Russia. 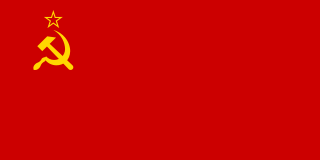 During the ensuing Finnish Civil War, the Red Guards, supported by the Russian Bolsheviks, were defeated. Fearful of Soviet designs, during the 1920s and 1930s, the Finns were constantly attempting to align themselves with Scandinavian neutrality, particularly with regard to Sweden. Furthermore, the Finns engaged in secret military co-operation with Estonia in the 1930s. The aerial warfare in the Winter War was the aerial aspect of the Winter War between Finland and the Soviet Union from 30 November 1939 to 13 March 1940. While the Soviet air forces greatly outnumbered the Finnish Air Force, the Soviet bombing campaign was largely ineffective, and Finnish pilots and antiaircraft gunners inflicted significant losses on the Soviets. The Naval warfare in the Winter War was the naval part of the Winter War between Finland and the Soviet Union from 30 November 1939 to 13 March 1940. Overall, the level of naval activity was low. However, Finland had coastal artillery batteries which took part of battles along its coast. Juho Eljas Erkko was a Finnish politician and journalist. He was a foreign minister and negotiated with the Soviet Union before the Winter War started. Erkko's father was politician and journalist Eero Erkko and son journalist Aatos Erkko. Finnish–Estonian defence cooperation began in 1930 with a secret military pact between Finland and Estonia against the threat of the Soviet Union. Open cooperation ended in 1939, as the Soviets pressured the Estonian government, but it continued secretly with information-sharing during the Winter War. ↑ Ylikangas, Heikki (16 January 2004). "Heikki Ylikankaan selvitys Valtioneuvoston kanslialle" (PDF) (in Finnish). Valtioneuvosto kanslia / Finnish Council of State. Retrieved 29 December 2010.